Target has placed a new bet on its famous in-house baby brand Cloud Island. Expanding from its original offerings of comfortable baby beddings and stylish nursery decorations, the retailer surprises American moms with the addition of more than 30 high quality baby essential items to the line. Priced between $0.99 to $21.99, the Cloud Island Essentials Collection includes baby wipes, diapers, feeding items, toiletries and other daily needs of babies and parents out there. “As we talked about Cloud Island, the essentials category was always there. The idea was around better-for-you, dependable, affordable and accessible products that are good for your baby and your family. Now, building on the success we’ve seen with the brand over the past year, we’re bringing that idea to life,” said Target Executive Vice President and Chief Merchandising Officer Mark Tritton. Target is hoping to get a strong support from parents with young children at home since the line was launched to resolve their common dilemma of choosing between affordability and quality. Priced mostly below $10, you can surely get the best value for your money when you buy the essentials because the items were developed to compete with the other American premium baby brands in terms of durability, effectiveness and safety but at 30% to 40% lower cost. As a proof of this claim, Target confirms that its ultra-thick baby wipes are 99% made from gentle ingredients such as coconut oil to avoid drying out the baby’s skin when used. Parents can also rest well through the night after putting the Cloud Island diapers on their babies since the diapers have 12-hour leak protection feature that alleviates rashes and other skin irritations. We loved the durable silicone baby bibs and the adorable cloud print diapers. So what are you waiting for? Visit Target.com or check out the local Target store near you. 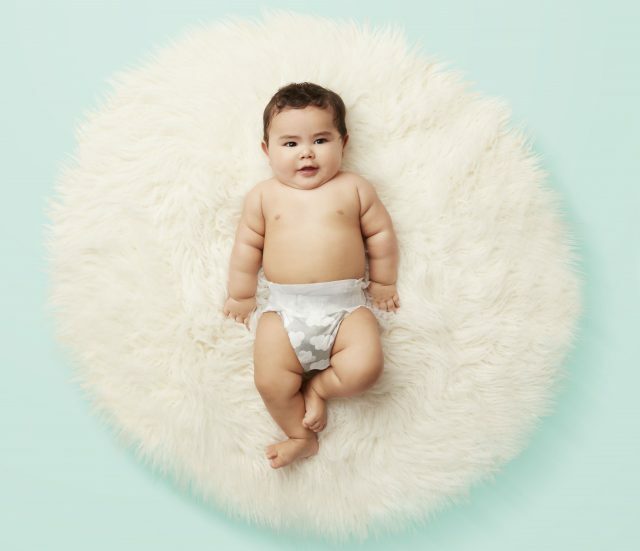 The new Cloud Essentials baby line will be available to the public starting Jan. 20.